I live in Tribeca, a gentrified corner of New York nestled along the Hudson River. People from all over flock to savor the food here, from Indian delicacies at the elegant Tamarind, to the gourmet interpretation of Italian comfort dishes at Petrarcha. While the diners are diverse, they share a marked preference for dinner reservations at 8:00. However, the popular time presents a problem for your health. The only difference was that half the women began with the 700-calorie meal, had a 500-calorie lunch, and finished with a 200-calorie dinner. The other women ate the meals in the reverse order, beginning with the 200-calorie breakfast. reported feeling less hunger, and more fullness, throughout the day. Unfortunately, 20% to 30% of American adults not only do not follow this advice about hearty breakfasts, but skip breakfast completely. This habit is correlated with an increased risk of obesity, and diabetes. high blood glucose level is a risk factor for, and sometimes a symptom of, diabetes. Of course, risk factors, and correlation, do not prove that skipping breakfast causes diabetes. For example, other factors, such as stress, have been shown to be related to problems with glucose metabolism. Nevertheless, based on what we know now from several studies, it appears that front-loading calories in the form of a hearty breakfast (vs eating the exact same meal at night) is healthier, and will cause less weight gain. Research shows that meal timing matters because it is intimately tied to our “inner clock.” More accurately, meal time is related to the different inner clocks, such as the clocks in the gut, and in the liver, that regulate our organs. night eating is associated with obesity, and worse. Research also suggests that if you finish your eating for the day by early afternoon, and then fast for 18 hours or so until breakfast the next day, you will gain less weight than you will with any other arrangement. In other words, spreading meals and snacks throughout the day (vs eating in the morning and early afternoon) is associated with weight gain. Apparently, the body does best with a cycle of eating, and then fasting, each day. We observed that the time of the meal is more important than what you eat and how much you eat — it’s more important than anything else in regulating metabolism. While bright light is the dominant timing cue for the body’s master clock in the brain, the peripheral cells and tissues in the body also have biological clocks, and food intake is an important factor for setting their time zones. If your timing to light exposure is out of sync with the timing of meals, it’s like your clocks are at different time zones and don’t know how to communicate with each other. It’s like an orchestra whose musicians are playing out of time with each other [and the result is] cacophony, not music. 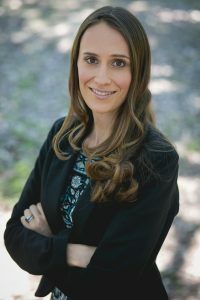 For more information on how the circadian system affects weight loss, see The Impact of the Circadian System on Meals and Weight Loss: An Interview with Courtney M. Peterson, PhD.